Enjoy limited production wine delivered right to your doorstep! Receive 10-20% discounts on case orders & specials. All wines are 100% guaranteed for your personal satisfaction. Refer a friend, and receive a complimentary bottle of wine on the house. JT’s Mom & Pop wine club is designed for those who enjoy exploring new limited production wines in every order. Whether for you personally, or want to send a California wine gift, JT’s Mom & Pop wine club delivers only the best quality California wines made from some of the finest boutique winemakers California has to offer. 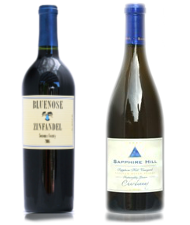 Receive & enjoy 2 bottles of personally selected California artisan fine wine. Direct from the winery to your doorstep. 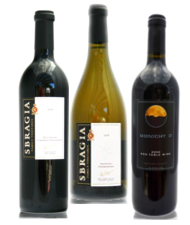 Receive & enjoy 3 bottles of personally selected California artisan fine wine. Direct from the winery to your doorstep. 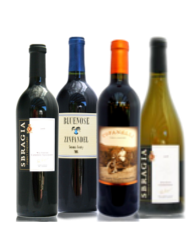 Receive & enjoy 4 bottles of personally selected California artisan fine wine. Direct from the winery to your doorstep. 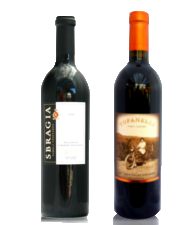 Receive & enjoy 2 bottles of premium hand selected Cabernet Sauvignon. These killer cabs come from some of the most prestigious vineyards, valleys, and mountain tops California has to offer.